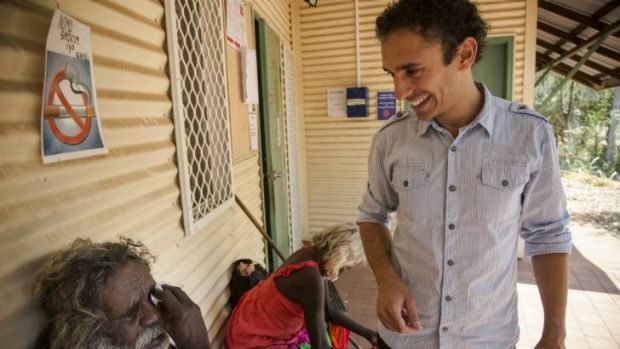 ” In the Northern Territory, as elsewhere in Australia, Aboriginal and Torres Strait Islander people disproportionately experience poor health – much of which stems from SDoH factors. Concerted action must be taken by the incoming government to address these. For instance, overcrowded housing for Indigenous people is a major problem in the Northern Territory and contributes to increased rates of infectious diseases. It is associated with the spread of ear and eye diseases, skin infections, respiratory infection, and streptococcal infections causing rheumatic fever and rheumatic heart disease. “As in other Australian states and territories, Aboriginal and Torres Strait Islander youth and adolescents are hugely overrepresented in the Northern Territory justice system. The special needs of these young people need to be considered. This should include the involvement of the Aboriginal Community Controlled Health sector in the provision of culturally specific and safe care. Culturally appropriate services and support programs are also needed post juvenile justice incarceration. We welcome the Royal Commission into Child Protection and Youth Detention Systems of the Northern Territory; however we are calling for the Terms of Reference to be broadened to cover health. It is also crucial that all those who have been victims of any abuse receive immediate support and treatment for physical and mental health issues. 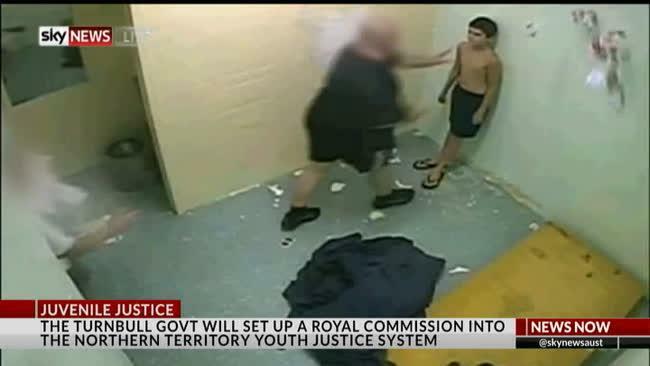 The disproportionate number of Indigenous young people in detention makes it essential that formal processes and mechanisms are put in place to facilitate the participation of Aboriginal and Torres Strait individuals and communities in the work of the Royal Commission and the overhaul of the Northern Territory’s incarceration culture. The CLP abolished the Aboriginal Affairs portfolio, but reinstated it in 2015, has set public service Aboriginal employment targets and had pledged to invest more in remote housing, with a $1.65 billion program to build 240 houses a year for eight years in remote communities. Labor has pledged to give communities greater control over local government, education and training, health, childcare and justice, as well as promising a $1.1 billion 10-year remote housing program. The Royal Australasian College of Physicians (RACP) is committed to working with all political parties to inform the development of health policies that are evidence-based and grounded in clinical expertise, that focus on ensuring the provision of high quality accessible healthcare. The Northern Territory Committee of the RACP utilises the knowledge and expertise of Northern Territory based members to develop policy positions and proposals which prioritise the health of all Territorians. Facilitating the provision of specialist medical services in community-based settings. The RACP urges the incoming government to adopt strong policies which put the health of Territorians first, in line with the recommendations contained in this document. Health is a matter that calls for a whole-of-government approach. The evidence is clear, an individual’s health is not only shaped by lifestyle choices but also by a range of socioeconomic factors which individuals often do not have direct control over. These are commonly referred to as the Social Determinants of Health (SDoH) and include housing, early childhood experience, economic status, transport, built and social environments and access to resources. Diseases and illness are exacerbated and disparately distributed in direct relationship to inequities in society. Addressing the SDoH will reduce the burden of avoidable disease, resulting in savings to the health system as well as economic growth and development. In the Northern Territory, as elsewhere in Australia, Aboriginal and Torres Strait Islander people disproportionately experience poor health – much of which stems from SDoH factors. Concerted action must be taken by the incoming government to address these. For instance, overcrowded housing for Indigenous people is a major problem in the Northern Territory and contributes to increased rates of infectious diseases. It is associated with the spread of ear and eye diseases, skin infections, respiratory infection, and streptococcal infections causing rheumatic fever and rheumatic heart disease. Education and literacy are strongly associated with lifestyle choices and health literacy. The incoming government must prioritise strategies which improve access to education and increase educational participation for Aboriginal and Torres Strait Islander people across the Northern Territory, including early childhood education. In addition to adopting a Health in All Policies approach, a strong focus on health prevention is required. The absence of a clearly defined preventive health strategy in Australia is deeply concerning, especially with chronic conditions such as heart disease, kidney disease, cancer and type II diabetes, accounting for accounting for 83 per cent of premature deaths (deaths among people aged less than 75 years) and 66 per cent of the burden of disease in Australia. Investment in preventive health improves the population’s health and is critical to the long-term sustainability of the Northern Territory healthcare system. Preventive health measures must address key contributing factors to chronic diseases in Australia, including alcohol consumption, obesity, poor nutrition and tobacco use. In order to effectively manage the preventive health risks posed by lifestyle factors and associated diseases, a coordinated approach is required. Adopt a ‘Health in All Policies’ approach to policy-making to place health as a key decision-making factor in all areas of policy which impact on individuals and communities’ health (i.e. housing, education, transport, built and social environments, etc.). Develop a Northern Territory preventive health strategy which addresses and lowers the risk factors for preventable illnesses and diseases. Support and contribute to the development and implementation of a national Australian Preventive Health Strategy. Data and experience shows that Aboriginal and Torres Strait Islander people access specialist services at a lower rate than needed, and they face many barriers in accessing specialist care – this is true whether they live in the city or in rural or remote areas. For young Aboriginal and Torres Strait Islander people, access to sexual health information and services is critical. Concerted action is required to address the high levels of sexually transmitted infections (STIs) in Indigenous communities and to prevent increases in infection with blood borne viruses (BBVs). Aboriginal and Torres Strait Islander youth need to be empowered to promote and discuss good sexual health; supported to access timely, affordable and culturally appropriate sexual health services; with a target to reduce the incidence of STIs amongst Indigenous young people included in the Close the Gap objectives. The RACP welcomed the launch of the Implementation Plan for The National Aboriginal and Torres Strait Islander Health Plan 2013-2023, with its recognition of the need for a national framework to improve access to specialist care that is needs-based, and initiated by and integrated with primary health care services. The RACP is committed to working with its partners to progress this work, including working with the NT government. It is vital that sufficient and sustained funding and resources are made available to drive this Implementation Plan, so that its aims become a reality. Indigenous health leadership and authentic engagement of Aboriginal and Torres Strait Islander communities are crucial to achieving improved health outcomes. Service development and provision should be led by Aboriginal and Torres Strait Islander health organisations. The Aboriginal Community Controlled Health sector is of vital importance in delivering effective, timely and culturally appropriate care to Aboriginal and Torres Strait Islander people, and must have long-term and secure funding to not only retain, but grow their capacity to do so. Allocate sufficient and secure long-term funding to progress the strategies and actions identified in the Implementation Plan that are the responsibility of the NT government. Implement specific strategies and initiatives to address the disproportionately high incidence of STIs and BBVs in Aboriginal and Torres Strait Islander communities. Support the Aboriginal Community Controlled Health Sector to support the sector’s continued provision of Indigenous-led, culturally sensitive healthcare. Build and support the Indigenous health workforce to grow their numbers and integration within multidisciplinary teams. It is of significant concern that elevated lead levels have been found in over half of children tested in three Top End remote communities and in 20 per cent of adults. Updated guidelines from the National Health and Medical Research Council (NHMRC) of Australia recommend elevated levels be investigated and reduced. Inhalation or ingestion of lead can produce neurodevelopmental dysfunction in children, resulting in learning difficulties, and behavioural problems. Elevated lead levels can also contribute to dysfunction in cardiovascular, renal, neurological, and haematological systems in adults. Lead shot used in guns remains a key source of lead exposure among populations where it is still commonly used; through directly ingesting game that has been hunted and therefore contaminated with lead shot, as well as handling lead ammunition (or playing with lead ammunition in the case of children), and consuming lead dust and particles. For many Aboriginal and Torres Strait Islander populations, hunting and fishing yields continue to make up a considerable proportion of their diet. High consumption of game meat is also typical for many individual recreational and vocational hunters and their families. Lead shot is banned for hunting waterfowl in the Northern Territory however Indigenous Australians hunting on Aboriginal-owned land are exempt from this legislation and therefore exempt from the protection it affords. Immediately ban lead shot for hunting in line with recommendations from the World Health Organisation and the National Health and Medical Research Council, and support appropriate access to alternatives. Significant improvements are needed within the juvenile justice system in the Northern Territory. The health and healthcare needs of young people in juvenile detention are rarely seen as a priority, despite the fact that these adolescents are among the most vulnerable in our community. As in other Australian states and territories, Aboriginal and Torres Strait Islander youth and adolescents are hugely overrepresented in the Northern Territory justice system. The special needs of these young people need to be considered. This should include the involvement of the Aboriginal Community Controlled Health sector in the provision of culturally specific and safe care. Culturally appropriate services and support programs are also needed post juvenile justice incarceration. It is recognised that incarcerated adolescents are more likely to experience poorer health and life outcomes and disproportionately high levels of disadvantage over that of the general population, and it is increasingly recognised that their health needs are greater than adolescents in non-custodial settings. Adolescence is a critical time in a person’s development, and it is imperative that juvenile detention provides opportunities for young offenders to rehabilitate and develop healthy behaviours for life. We acknowledge that the interactions between disadvantage, incarceration, poor health and well-being and life outcomes are complex, however this should not deter us from ensuring these young people are able to access the healthcare, support services and rehabilitation opportunities to support them to lead a healthy and productive future. Improve provision of health, psychological and social services to adolescents in the juvenile justice system, including a health screening within 24 hours of entry into detention. Reduce reoffending and recidivism in the juvenile justice system and increase vocational productivity by addressing the social determinants of health through a “whole of Government” approach. Improve the training of health professionals and others who work with adolescents in the juvenile justice system. The open speed zone on the Stuart Highway puts hundreds of thousands of road users, tourists and local residents at risk each year. Northern Territory road users suffer a road safety record that is far worse than any other Australian state or territory. Its fatality rate is among the worst in the developed world – between February 2013 and March 2014, the fatality rate (17.79) was more than three times the national average of 5.11 deaths per 100,000 people. These figures underscore a real and pressing need for the incoming government to commit to ending the policy of open speed zones in the interests of the health and safety of all Northern Territory road users and pedestrians. Road safety requires a comprehensive approach, and a vital element is missing when speed limits are not in place. Since the reinstatement of open speed zones on the Stuart Highway in February 2014, the Northern Territory Committee of the RACP has consistently warned of the risks associated with open speed zones and advocated for an end to this dangerous policy. Speed is a relevant consideration in all road accidents. Higher speeds lead to a greater risk of a crash and a greater probability of serious injury if a crash occurs. Show leadership and commit to road safety policies that focus on safeguarding the lives and health of all Northern Territory road users and pedestrians, in line with the principles of the National Road Safety Strategy 2011-2020. The harms of alcohol are difficult to overstate. It is the world’s third largest risk factor for disease and eighth largest risk factor for deaths. It is a causal factor in more than 200 disease and injury conditions, and can lead to lifelong problems associated with Fetal Alcohol Spectrum Disorders (FASD). The social and economic costs of alcohol to the Northern Territory are particularly high. National statistics have recorded the Northern Territory as having the highest per capita consumption of alcohol and the highest percentage of deaths attributable to alcohol. And while the epidemiology of FASD remains unclear due to a lack of standardised data, estimates suggest higher rates of FASD in the Northern Territory than the rest of Australia, particularly among Aboriginal and Torres Strait Islander children. The RACP is particularly concerned about the harms of alcohol to children and young people, with the peak age for the onset of alcohol use disorders being only 18 years. The tendency of young people to combine drinking with high risk activities (such as drink driving) increases their risk of alcohol-related injury or illness, and in some cases can prove fatal. Risky drinking behaviours, combined with open speed limits (see above), creates conditions for further increases in the incidence of devastating road trauma and fatalities on Northern Territory roads. The RACP calls on the incoming government to make better use of Alcohol Action Initiatives, as a potent tool for addressing the availability of alcohol while empowering local communities to restrict access to alcohol as they see fit. The previous Alcohol Management Plan (AMP) framework was shown to achieve stronger and more sustainable outcomes in reducing alcohol-related harms in communities where AMPs were locally driven and owned, and where supply measures were integrated with complementary demand and harm-reduction measures. The RACP encourages the incoming government to prioritise the implementation of proposed new Alcohol Action Initiatives, as a means for the Northern Territory to partner with the Commonwealth to empower local communities to tailor a suite of initiatives covering alcohol restriction as well as better treatment facilities and community education to reduce local alcohol-related harms. Take full advantage of the new Alcohol Action Initiatives to partner with the Commonwealth to facilitate locally owned and managed initiatives to reduce alcohol related harm through a combination of alcohol restriction measures, education and better addiction treatment facilities. Increase funding to facilitate workforce development to address unmet demand for alcohol treatment services. For the growing number of Australians living with multiple, chronic health conditions, navigating the health system has become increasingly complex. This problem also impacts people with disability and mental health issues. The care of individuals with multiple health problems is often disjointed, with the patient’s different health conditions managed by different health professionals. Fragmented health services delivery not only impacts the quality of patient care, but leads to inefficiencies, duplication and wastage across the health system. An approach to healthcare which places the patient at the centre is required to not only improve the management of patients with complex care needs, but ensure the Northern Territory healthcare system operates efficiently and effectively. Of particular priority for the RACP is the need to support increased provision of specialist services in community-based settings, such as primary healthcare centres, community clinics, Aboriginal Medical Services, residential aged care facilities and people’s homes. Community-based settings allow patients with multiple, chronic or complex conditions to be seen in convenient location, and facilitate greater collaboration and coordination between the different health professionals involved in patient care. Engage and consult with the RACP in order to utilise specialist expertise and knowledge when developing integrated models of care for the NT, including any involvement in the Health Care Homes trial, to ensure a multidisciplinary approach is taken. Implement policies that promote and support health professionals and service providers to work collaboratively. The CLP says it has reduced the cost of housing and petrol over its term, and increased family subsidies. It says it will continue to do so with more land release, will offer $500 study vouchers, and will work to reduce the cost of food in remote areas. Labor has accused the CLP of planning to sell off public utility PowerWater Corporation. Labor is offering up to $26,000 in stamp duty relief for home buyers, and will issue seniors with a $700 debit card every two years. The CLP made its legislation to presume against bail for young property offenders an election issue. It’s also promising more CCTV camera funding. Meanwhile, Labor is focusing on early intervention, prevention and rehabilitation of young people, as well as promising more police on the streets. Both parties have pledged to close down the Don Dale centre and both have promised a new police station for Palmerston. Chief Minister Adam Giles has promised to create 24,000 jobs next term, a third of which would be in the onshore gas industry, and the rest across marine infrastructure development, tourism, horticulture, indigenous housing, aquaculture, construction and defence. Labor says it will repurpose $100 million from the current budget for infrastructure stimulus to create jobs. The CLP says developing the onshore gas industry is key to a stable future and job security in the NT, while Labor says if elected it will institute an indefinite moratorium on fracking until the process is proven to be safe. The CLP will institute world’s best practice regulations in relation to mining and energy projects. Labor will follow a science-based and transparent water license process, will support indigenous rangers and environment groups, and will move to a 50/50 renewable energy target by 2030.